When we grow marijuana outdoors, we are not only at the mercy of weather and wind, but also all the little creatures that mother nature has provided to help maintain the balance of her delicate ecosystem. Our plants are at risk of being devoured by bugs, slugs, and insects, just as they would be in the wild. When our plants are eaten at the leaf it removes their ability to process sunlight into energy, choking the plant of much needed resources and slowing bud production. As part of our blog series, we have listed some ways to identify common pests and how to deal with infestations here. A common pest is one we know well- the ant. These lovable little hive-minds cause problems with marijuana plants by creating nests in the substrate medium. This can damage the root system - stunting growth, delaying flower production, and putting all your hard work to waste. Ants have also been known to arrive in tandem with aphid infestations. The ants squeeze the aphids and harvest their guts - a formulation of sugars made of nutrients taken from the leaves of your precious plants. The ants protect the aphids by warding off friendly predator bugs like ladybirds. Cultivating the aphid colony in this way allows it to multiply rapidly. A single aphid can give birth to up to 12 live offspring per day - this can wreck your plants, so of course you want to make sure any infestations are eliminated as quickly as possible. When removing bugs, you want to keep harsh chemicals and pesticides away from your plants. Organic is always the best way- and so we use ordinary household cinnamon. Look closely at your soil or potting medium. With any luck the ant infestation hasn't gotten too far and they're only beginning to colonise just one or two spots. Take a tablespoon full of powdered cinnamon and dump it on the soil, where the ants are building. 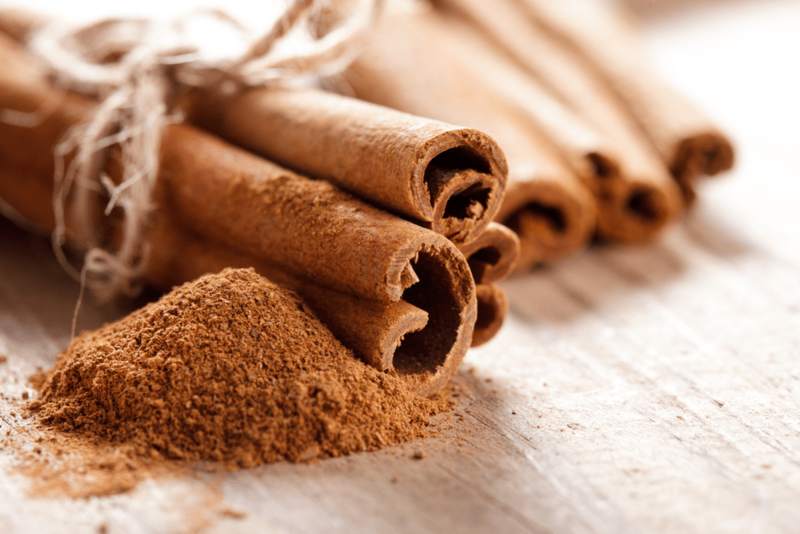 The strong flavour of the cinnamon should be enough to scare of any ants that were thinking about colonising your plants. If you find that this isn't enough to deter your new insect pals, dissolve a few more spoonfuls of cinnamon in some distilled water (the same amount you would use to water your plants) and pour it over your topsoil. Allow your cinnamon-water mixture to soak in. This strong-smelling concoction will absorb into the soil, tainting it's flavour. This method is a sure fire way to send ants packing.